I reduced the number of components in 3 times, give the original proportions. First generously oiled the form and powder with cocoa. 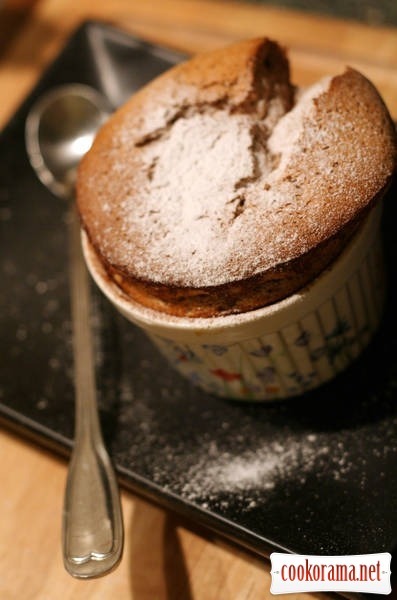 Well oiled forms — the key for a good soufflé. Somewhere in the middle of cooking turn on the stove to warm to 190 degrees. 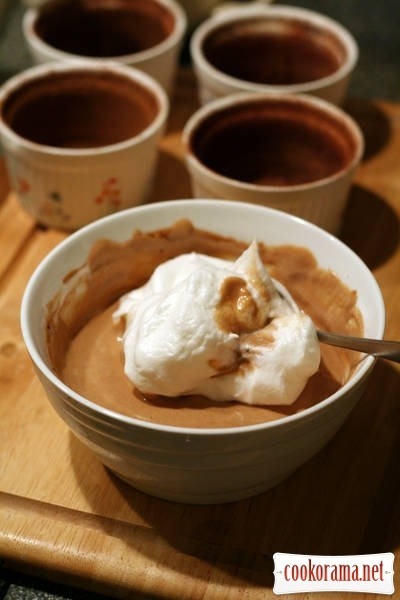 In a bowl, a water bath (or microwave) melt thr chocolate with cream / milk, add cocoa, stir well to a smooth homogeneous mixture and leave to cool off. 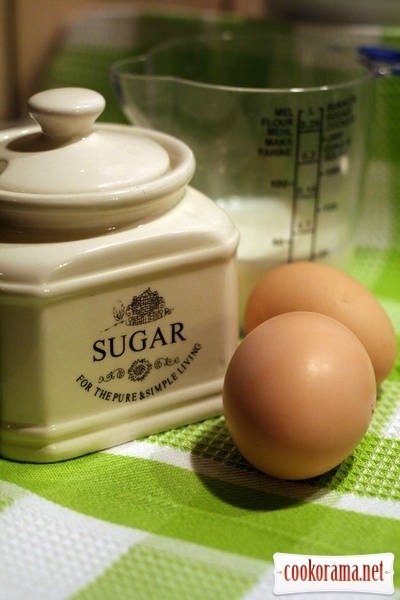 Mix beat yolks with sugar in a pale mass. Gradually add the flour stirring. 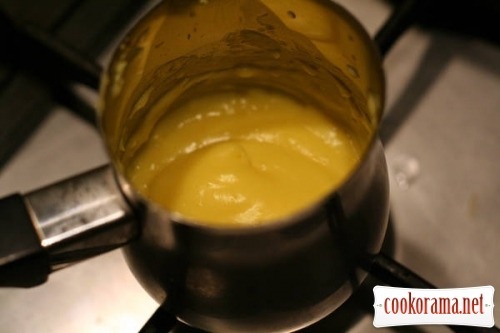 Heat milk essence to near-boiling without stopping the mixer pour milk into the yolks, then stir well, pour into a pan with a heated milk and cream, brewing until thick condition. 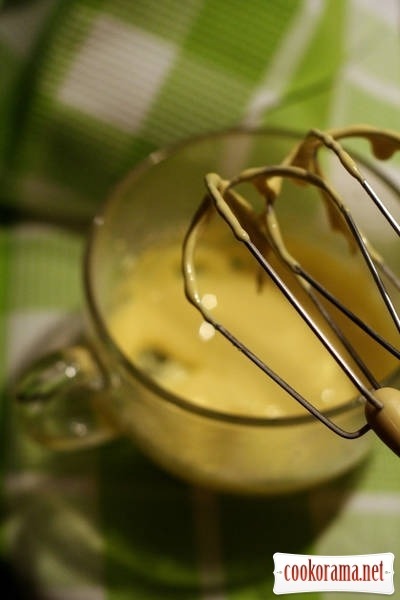 My mistake was the choice of dishes — thin-walled brewed cream badly, had to break it with mixer to mass. We leave a little for cooling off, cover with something not to make cream crust. 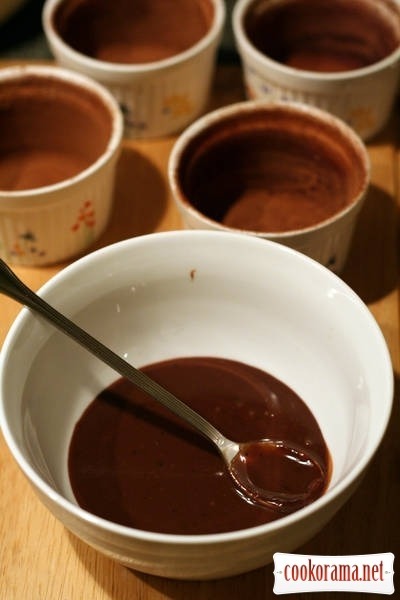 Mix cooled cream and ganache. Beat whites in a solid foam, add a spoon of sugar, beat until glossy firm peaks. 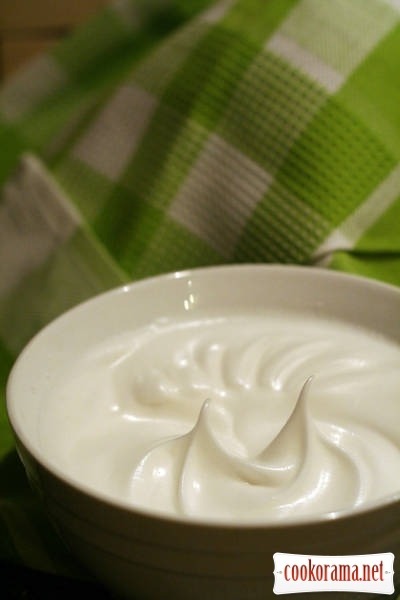 Spoon of whites stir with ganashe cream mixture to make it more liquid, and then thoroughly but gently add whites. The main thing is not to leave unmixed whites in pieces of dough. 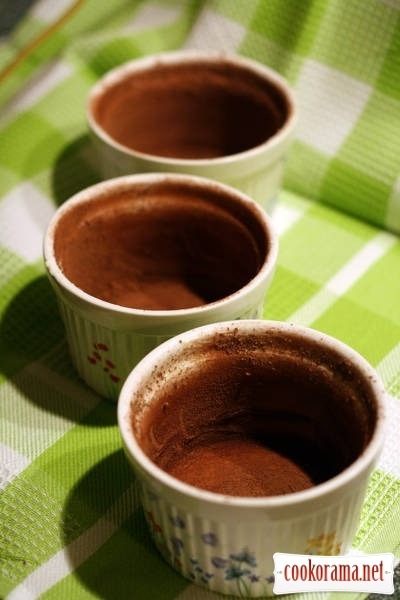 Pour the mixture into forms, occasionally knocking them on the table, to avoid the appearance of «air pockets» inside. In the original recipe said to pour til top of the forms, but soufflé rises a lot, and we were glad that not poured to the top. I would generally poured 3/4. In the oven for 15 minutes, and enjoy a soufflé growing. Serve immediately (not because of the taste, but because they quickly fall), sprinkle with powdered sugar, but you can do without it. My soufflé is not as good as chefs do, but this turned out a quete good dessert. And, this amount was enough for almost two full forms and another for 2/3. If you pour on the 3/4, then enough for 4 forms with a diameter of 9 cm, volume of approximately 110 ml. I think the best suits here pink wine. 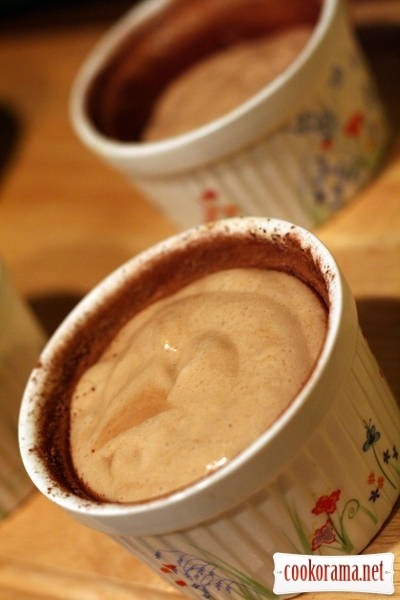 Top of recipe "Chocolate souffle"
слухай, а тобі ніколи не пропонували попрацювати фотографом їжі? подача рецепту просто шикарна, а фото — я балдію!!! Дякую, не пропонували, бо до фуд-фотографа мені ще довго, це я чесно і без скромності, бо я знаю, як воно має бути насправді. кстати, у меня керамических формочек нет, вопрос-можно в металических для кексиков такое суфле делать? Супер смачно і ніжно, люблю таке. Фото шикарні. Дуже смачно і фото у вас професійні.